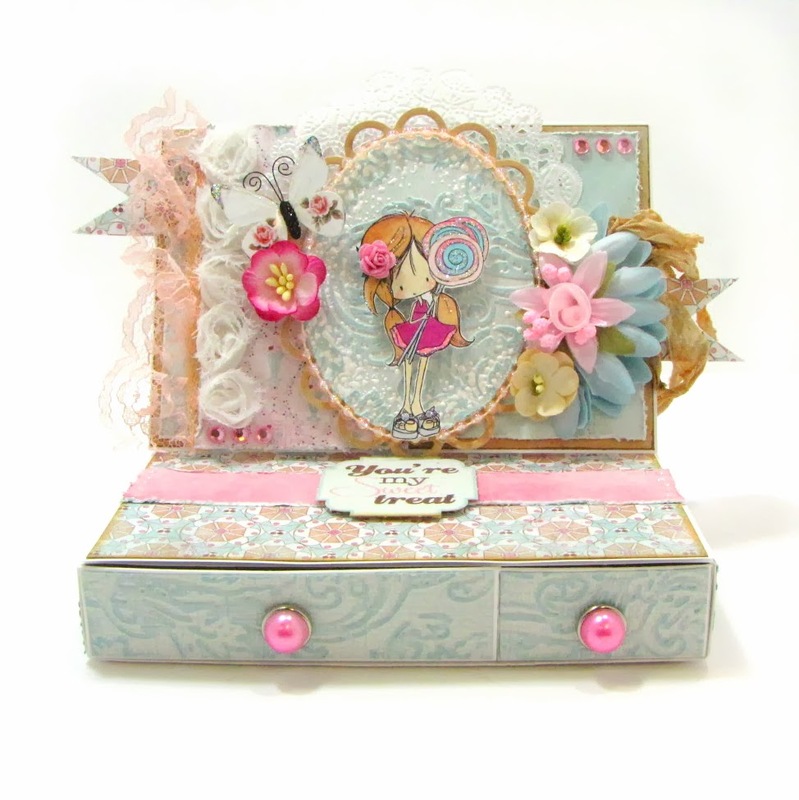 This tutorial is for creating an easel card with two drawers. I've seen a variety of different takes for this type of card. I've seen easel cards with just one drawer...other easel cards have even up to four drawers. In the end, you'll create what best suits your needs. If you go on You Tube or Pinterest you'll find all kinds of tutorials as well. 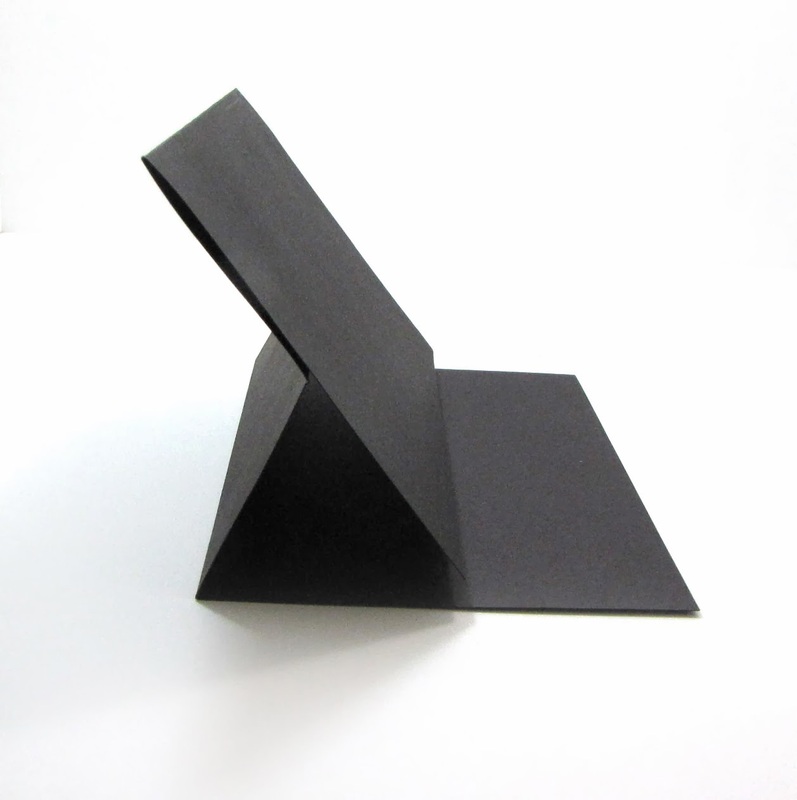 Here's my take on a two drawer easel card & my addition to the 1,001 tutorials out there for them! :-) The one tutorial I did find that I referred to is this one. My tutorial is similar in nature--feel free to use either one for reference or both together! 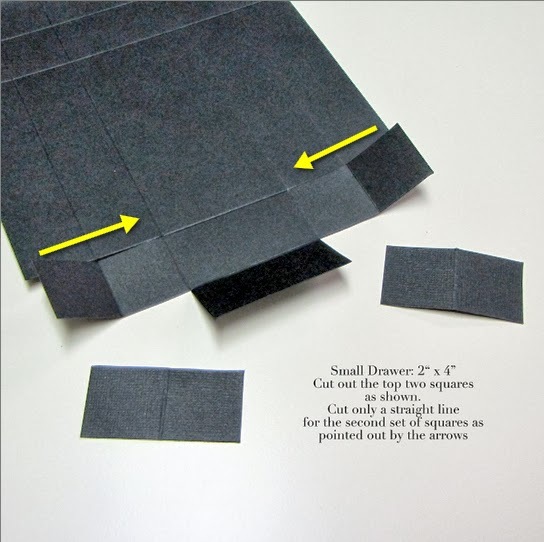 To create the base--apply adhesive to 1” flaps & connect both pieces of card stock to form a ‘sleeve’. This is where your drawers will go. Step 2: Here’s a photo of the base. I opted to add a bit of chipboard to the top & bottom of the base in order to make it sturdier. NOTE: Adding the chipboard is optional. I opted for this since the base is what holds both the drawers & the easel card on top. If you decide to add the chipboard cut it at 3 15/16" x 8". Step 3: To create the drawers—cut out the top two squares on both ends. Cut into the inner two squares. Make sure that you do NOT cut out the second set of squares—you’re just cutting into them to create flaps that will be used to assemble the drawer. Step 4: Apply adhesive to the two side flaps. You will press these down into the horizontal flap seen below the two side flaps. Step 6: Here’s what the side of your box should look like when complete. Repeat steps 4 & 5 on the other side of the drawer. Step 7: Here’s the drawer with both sides completed. To finish it off, apply adhesive to the two end flaps & press in & down. Step 8: Your finished drawer! Repeat steps 3 to 7 for the 4” x 4” drawer. Then slide drawers into base ‘sleeve’. 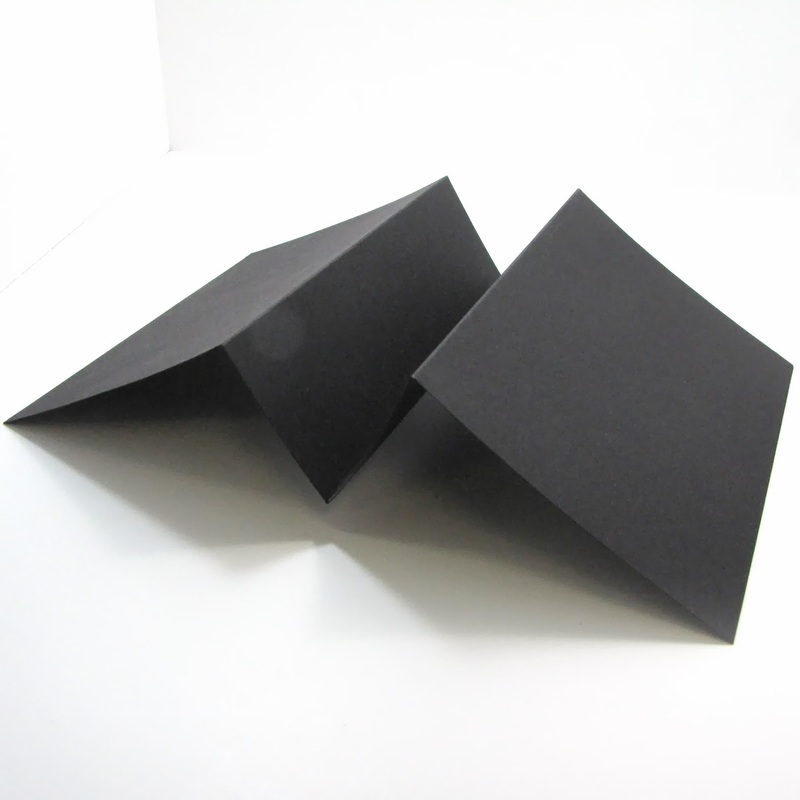 Score: 4", 6" & 8"
Step 9: Take your piece of card stock and score at 4", 6" & 8". Then fold it at the score lines 'mountain' style as shown. Step 10: Position the base of the card so that one of the scored 4" pieces becomes the bottom of the card & the other 4" scored section is what will be the top of the card. Ensure that the easel card; when standing--looks like the photo shown. You'll also need some kind of stopper for the card to rest on when open. You can use brads, another piece of card stock, rhinestones or any sort of embellishment that has a bit of dimension to it. Decorate the card & adhere easel card on top of box with drawers. This gets posted to Pinterest for sure!!! Thank you for the details, would love to create something as beautiful as this myself! Gorgeous!